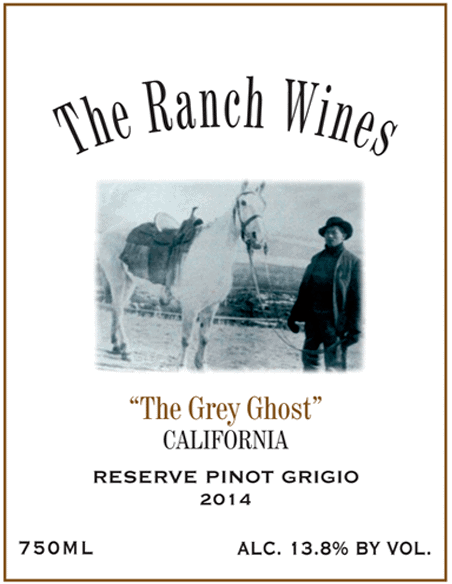 The 2014 Triple ‘R’ Ranch Grey Ghost Pinot Grigio displays a brilliant star-bright color with a green-tinged rim. 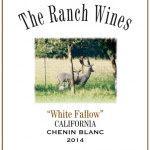 The nose holds bountiful aromas of apricots, lemon and lime , with a subtle hint of orange rind and floral notes. 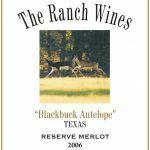 The palate bursts with tangy citrus fruit with apricot followed by an under-laying expression of orange rind at mid-palate. A vivid, crisp mouth-feel of acidity, finishes this 100% stainless steel aged Pinot Grigio. There’s a great story behind the Grey Ghost!